charmcityartsmaven: “SOCIAL CREATURES” @ SCT IS A HIT! For more info on the show visit the production page. TO ENSURE THE SAFETY OF THE PERFORMERS AND THE AUDIENCE, THERE WILL BE NO LATE SEATING DURING THIS PRODUCTION. SPECIAL EVENTS SURROUNDING SOCIAL CREATURES! A panel of experts and enthusiasts will venture to identify the reemergence of zombie culture as a reflection of America’s current state of mind. Featuring Dr. Arnold T. Blumberg and Andy Hershberger, authors of Zombiemania; plus zombie aficionado Edgar Wiggins. Discuss the pandemic spread of greed among social creatures with the play's dramaturgs and a PhD candidate in Race and Inequality. We'll delve into the nature of race, class, and consumerism in a post-apocalyptic society. 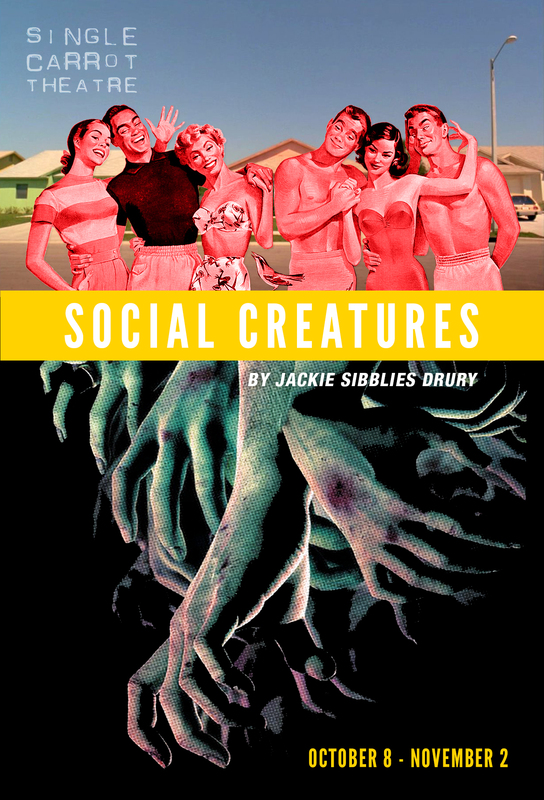 Get to know the cast and crew of Social Creatures following the performance. Featuring Dr. Albert Wu, Director of Johns Hopkins Center for Health Services & Outcomes Research; Benton Best of the Baltimore City Mayor's Office of Emergency Management; and Fred Scharmen, co-founder of The Working Group on Adaptive Systems. At this time, we are only able to accommodate children ages 5-10 . $40 for one parent ticket to the show and admission for one child. $15 for each additional child. Let’s see… a show with zombies playing ON Halloween without a party? Pish-posh! Join us after the show (assuming you have survived) for drinks and ghoulish Halloween merriment.